Both husband and I have very good jobs and are reasonably comfortable. I work in corporate Australia and I love clothes, so I tend to make an effort to look my best every day. I work hard, and I feel if I look polished, this will impact my confidence. Auntyji, it’s true that I tend to spend a fair bit of money on clothes, but I never spend beyond our means. Now I call my husband our finance minister because he is fairly fiscally prudent and I love that about him. He has just booked us a two-week holiday in New York for Christmas, and has said that we should curb our spending so we could shop there. 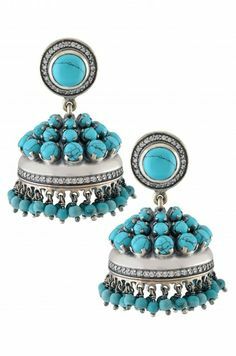 But I saw a beautiful pair of very expensive antique turquoise earrings and on a whim, I put it on lay-by. They are beautiful and I can’t wait to get them. Auntyji, I feel guilty, because I did not tell this to Andy. I am slightly shamed by my behaviour. What to do? Should I tell him? You besharam, lying to your husband like that! But tell me, kaise hain ye beautiful earrings? They must be exquisite – especially if they are antique turquoise. But what to do. Aap ne jhoot bola hai – even if it’s lying by omission. So, if you want trust in the relationship, Andy ko batana padega. Imagine if he did this to you. Imagine if, aap ke peeth ke peeche, he went and bought a new set of golf clubs or a new set of wheels for the car and didn’t tell you? Would this bother you? If it did, then you need to think deeply about what you have done. But if he is your minister of finance and he decided that he wanted a new set of golf clubs and he could afford it, then I don’t see why you would have an issue with this. Which means that by the same token, you should be allowed to buy what you want – seeing that you are also financially responsible. But, you feel a sense of shame, my little kabootri, because you weren’t honest with the pati dev. Jaa kar batao unko aap ne kya paap kiya hai. Then go and feed some gulab jamuns to the gareeb to get some redemption. Jug jug jiyo, meri pari. Recently I’ve developed a new habit and I wanted to share this with you, because I know you will appreciate this too. So I was generally reading up on Bollywood gossip shossip on the internet, and I came across some pictures of Taimur Ali Khan! Now Auntyji, I don’t know how I missed all this, but he is so so beautiful! He is the most adorable baby I have ever seen in my life and now, every single day, I log online just to see if there are new pictures of him. I could stare at him for hours – he is a bundle of cuteness! Have you seen his pictures? Kitna pyara baccha hai, nah? I am even thinking of making up a gift package and sending it to Kareena and Saif. I am besotted by this little bubba. Would you be able to get me their address so I could send him some love from Australia? Ya allah, mujhe sabar de in zaalim logon se. 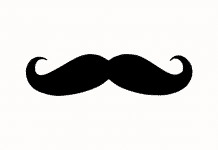 My na-akl paapin, my kaali mirchi, kuch to sharam kar. Thousands of miles away is the Chota Nawab, minding his own business, being loved by his Ma and Pa and from the other side of the duniya, kisi ki kaali nazar ne un ko lomari ki khayalat se dekha. Don’t you have work to do, or a hobby, or other people pareshan karne ke liye? Leave our Chota Nawab alone, because everyone knows that evil eyes exist, and if you keep starting at our Chota Nawab, he will likely fall sick. 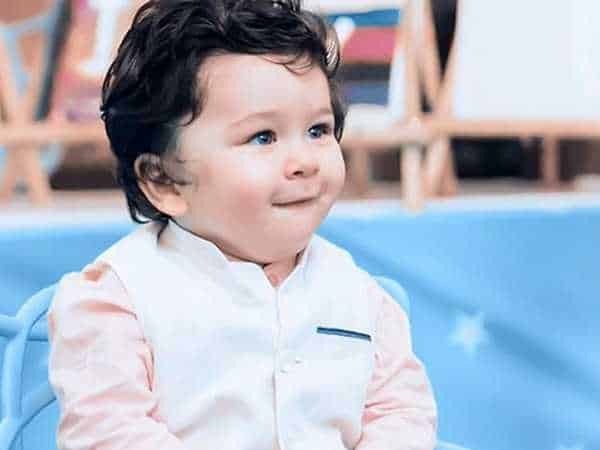 Is that what you want – for India’s darling Taimur to fall sick? How will you feel then? Granted, Taimur bahut hi pyara baby hai. And with all the best of the Kapoors and Pataudis coursing through his veins, he was destined to be a celestial darling. But, you need to find something else to occupy your kaali nazren. Go find a hobby, or jaa jar volunteer kar hospital me. This fascination of yours is disturbing. And no, koi zaroorat nahi hai care package send karne ki. In fact, go and donate some gifts and money to poor children and that will bring you redemption. Hum abhi bata dete hain, if our little Taimur, our beautiful khajoor, our kohinoor, our sartaj gets sick, it will be on you and your kaali nazar. I hope baat samajh me aa gayi hai aap ko. Previous articleIt’s time to stand up, not stand by.